Former Green Eagles midfielder, Henry Nwosu has said the Nigeria U-23 team shouldn’t be judged by their poor performances in some of the international friendly matches played so far. The team which lost to Mexico 1-0 on Sunday morning in a warm-up game ahead of the Rio Olympic Games has remained unconvincing and shattered. 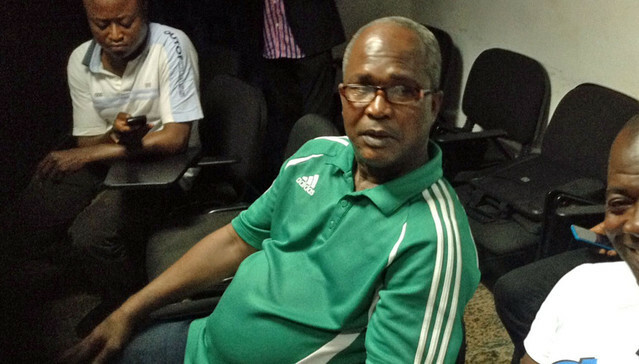 With just few weeks to the commencement of the Olympics, the 1980 Africa Cup of Nations winner told Soccernet.com.ng that the team would bounce back to reckoning when the tournament starts proper on August 5. “It’s a normal thing to criticize a team when they are not doing well prior to a tournament irrespective of whether it’s a friendly match or not,” Nwosu said. “I am optimistic that the team would learn a lot from the defeat they’ve experienced and surprise Nigerians at the Rio Olympics Games. “As far as I am concern, what’s the benefit of winning 10 friendly matches without winning a game at the main tournament? “Let’s give Samson Siasia the necessary support and not pull him down with criticism. He’s human being like us and should be encouraged.” he concluded. The Dream Team has lost five out of their six warm-up games, they recently played against Nigeria’s Flying Eagles (twice), Korea, Denmark and Mexico.